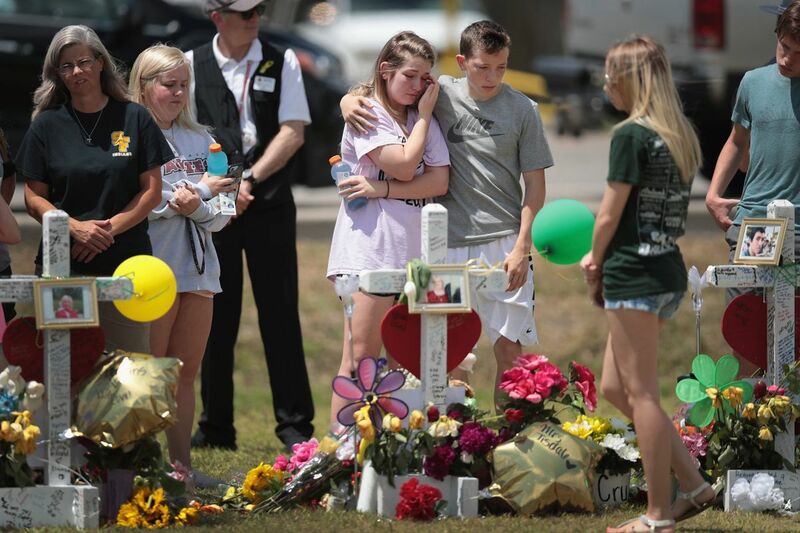 HEMPSTEAD — A week after the Santa Fe high school shooting, Gov. Cuomo accepted the state Democratic Party’s nomination for governor by promising additional gun laws, including raising the age to purchase firearms in New York to 21. Cuomo touted New York’s passage of his tough anti-gun control law known as the SAFE Act in the aftermath of the 2012 mass Sandy Hook Elementary school shooting in Newtown, Conn., and promised the state will go further if Congress won’t act. Cuomo also again said he will push to increase the waiting period for some gun purchase background checks to 10 days, up from the current three, and also will pass a “red flag” gun law that would make it easier to confiscate guns from people considered a threat to themselves and others. The gun issue was just one in which Cuomo outlined plans during his 48-minute speech to fight back against what he called Trump and Washington’s attack on New York and the middle class. The message was interspersed with his argument, in the face of criticism from the left that he is not progressive enough, that the Democratic Party’s liberal talk must be backed up with accomplishments. He said the public doesn’t “want pontification from an ivory tower,” but ideas, skill and competence that will help them. Nixon’s campaign during the speech hit Cuomo for going after teacher and other public sector unions in his first term, accused him of short-changing needy schools, and said he has taken actions to help the rich. Frequent Cuomo foe and Nixon friend Mayor de Blasio was asked on MSNBC’s “Morning Joe” if he thought Nixon could win. “Yes. Absolutely yes. Progressives and the change-agents in the party and the people who did not accept the previous status quo have the wind at their back,” he said. Another backdrop of Cuomo’s speech was talk that he is eying a potential presidential run in 2020. Cuomo spent much time on problems with Washington and the Republican agenda and the need for Democrats to learn from the loss to Trump to better reach out to the middle class he says Trump used during the election and is abusing while governing.